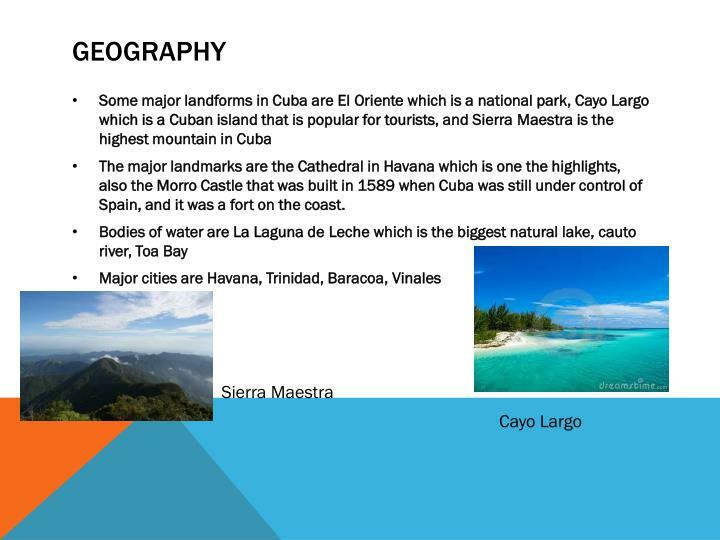 The major landmarks are the Cathedral in Havana which is one the highlights, also the Morro Castle that was built in 1589 when Cuba was still under control of Spain, and it was a fort on the coast. 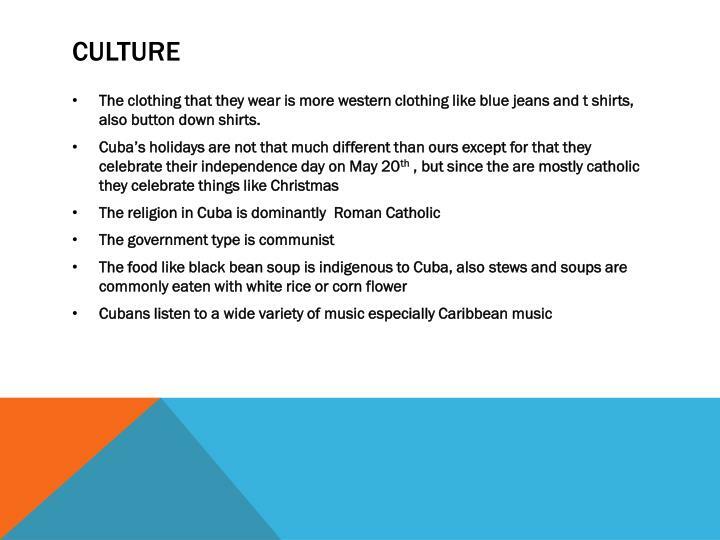 The clothing that they wear is more western clothing like blue jeans and t shirts, also button down shirts. 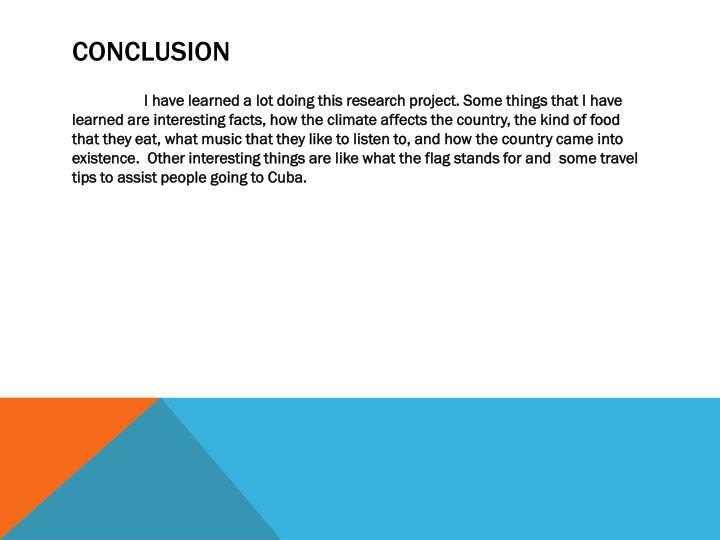 I have learned a lot doing this research project. 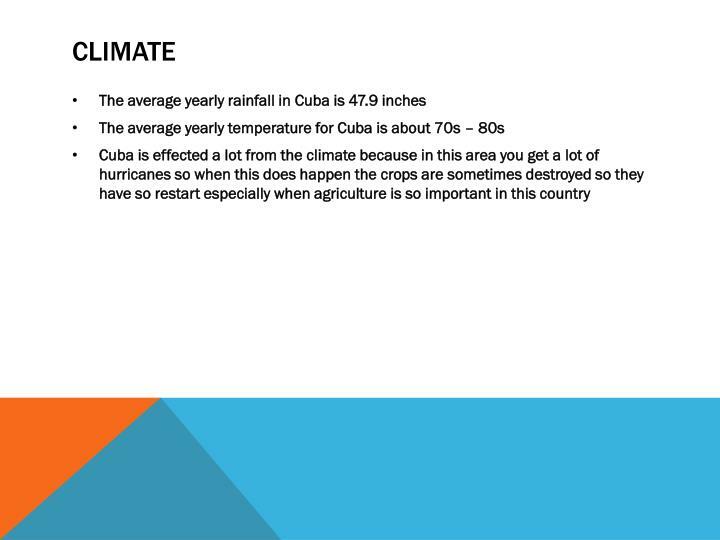 Some things that I have learned are interesting facts, how the climate affects the country, the kind of food that they eat, what music that they like to listen to, and how the country came into existence. 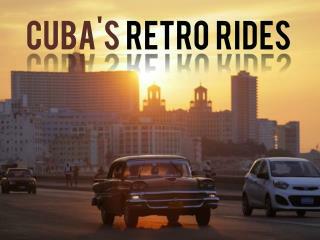 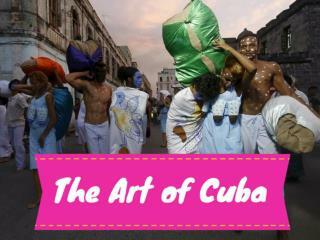 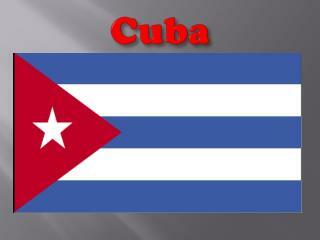 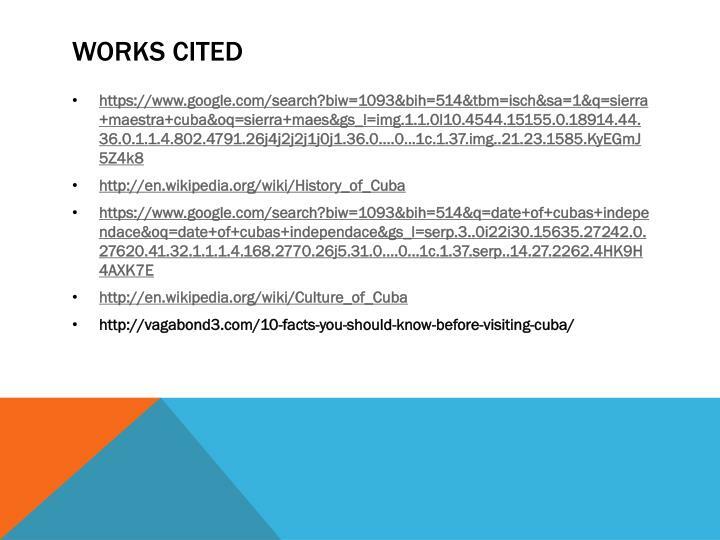 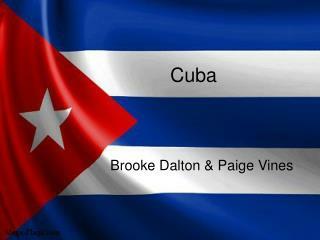 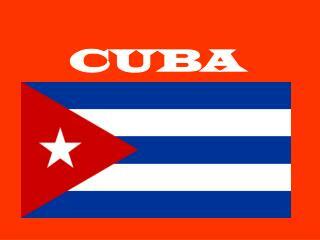 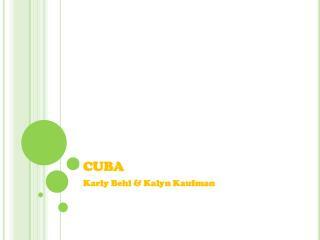 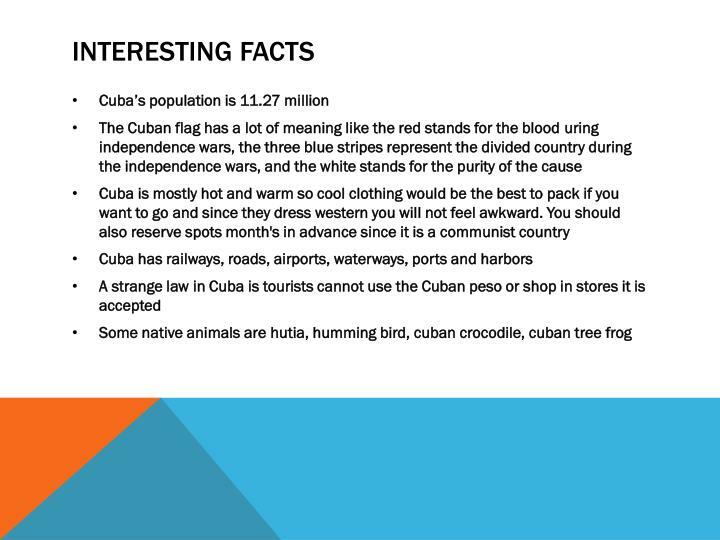 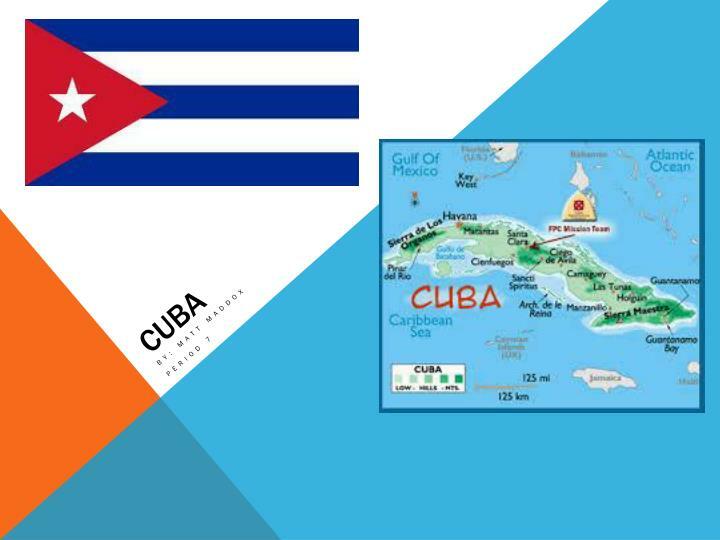 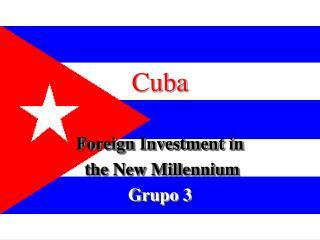 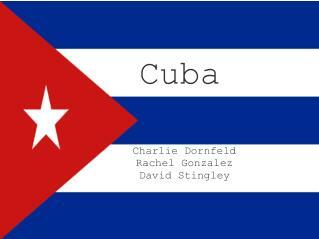 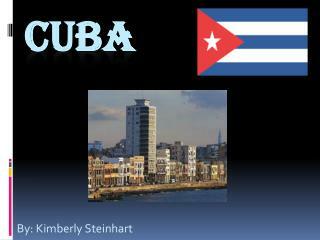 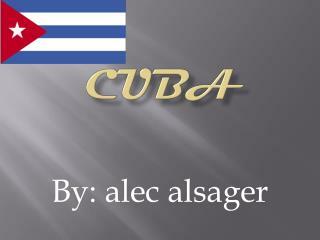 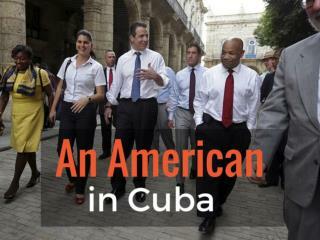 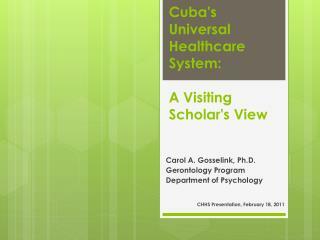 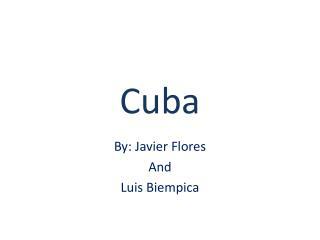 Other interesting things are like what the flag stands for and some travel tips to assist people going to Cuba. 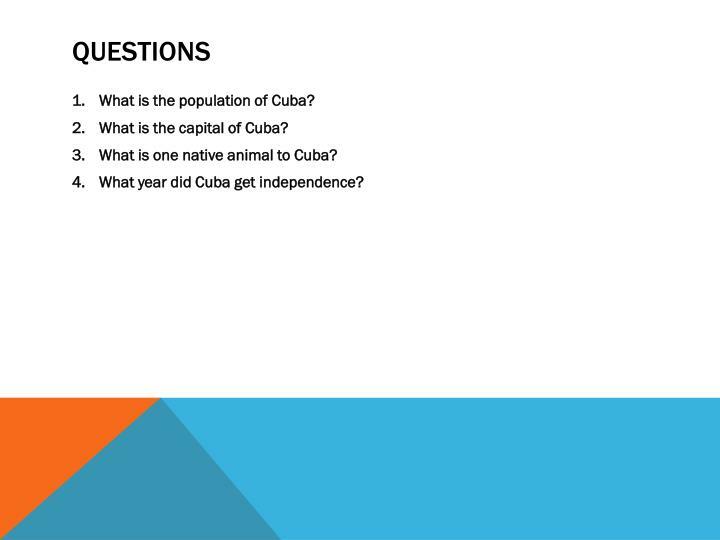 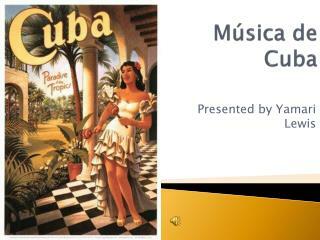 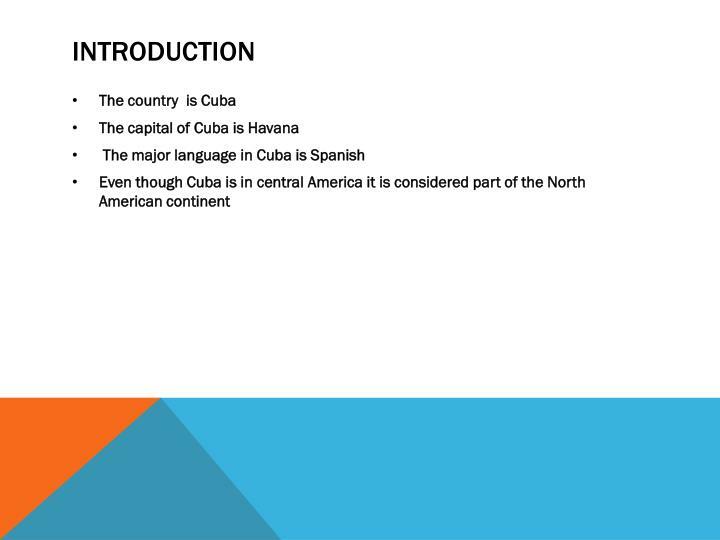 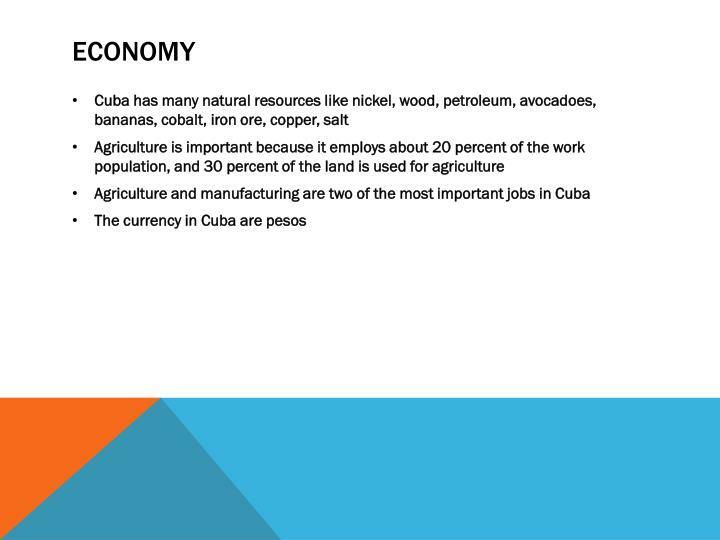 What is one native animal to Cuba? 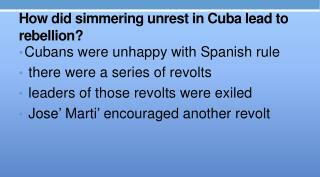 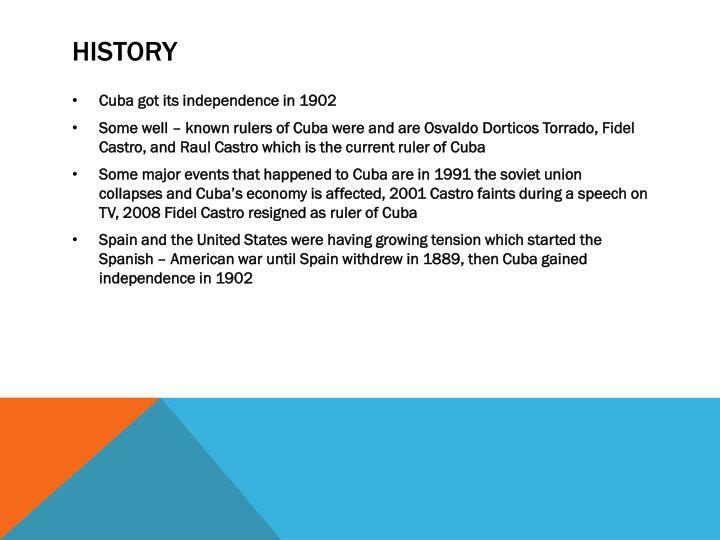 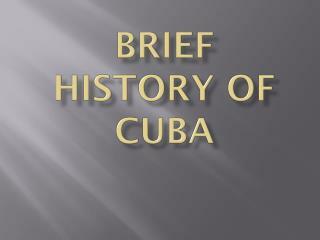 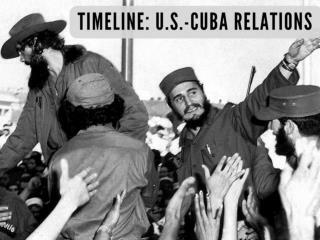 What year did Cuba get independence? 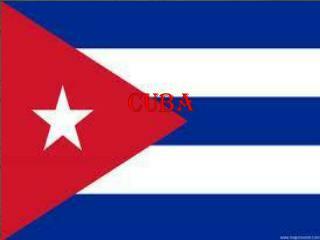 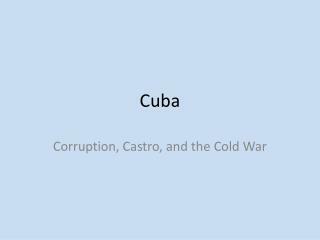 Cuba -. 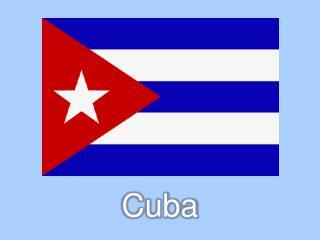 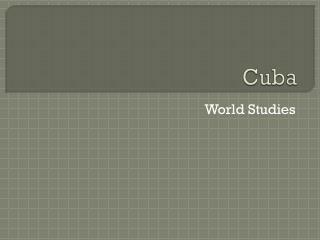 places in cuba. 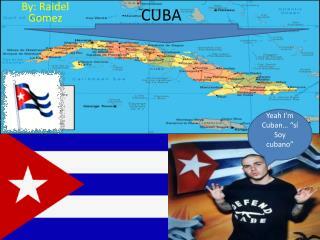 map of cuba.